Now who doesn’t want a head full of luscious, full, hair? I know I do! I have naturally thin, straight hair, and as I’ve gotten older it seems to have only gotten finer. 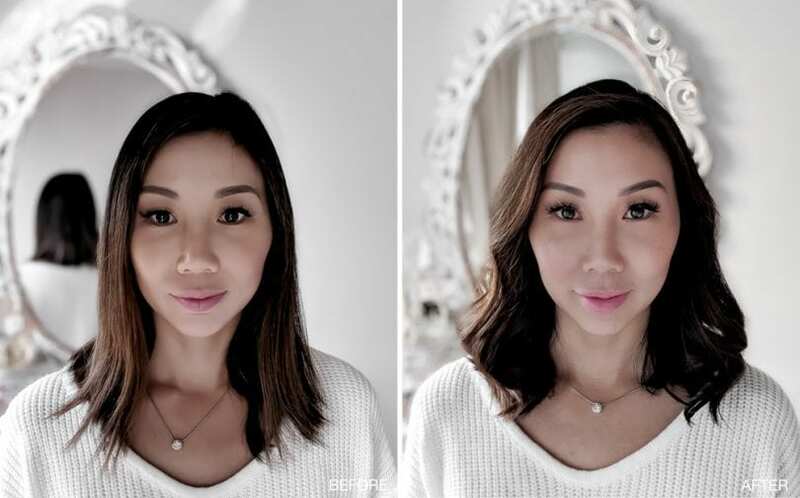 I’ve tried all sorts of things to achieve fuller hair, from uncomfortable extensions to hiding my fine hair through curling and backcombing, but none have really solved the problem the way Viviscal has. Viviscalis a dual-action haircare system that works from the outside and the inside. Viviscal Extra Strength Supplements promote fuller, thicker-looking hair that can even help reduce hair shedding in women. It works in combination with the Viviscal Gorgeous Growth Densifying Range which contains a Shampoo, Conditioner and Elixir, that work from the outside to care for your hair and make it look gorgeous while giving it a volumizing boost. It’s a truly unique system that approaches your hair from both internally and externally. How does Viviscal Extra Strength work? Healthy hair starts from within. That means if your diet lacks specific nutrients, including vitamins, minerals or protein, your hair isn’t going to be growing at its peak potential. The condition and strength of your hair is affected from how you nourish your body. As a busy young professional, I’m sure I’m not alone when there are days I hardly have time to grab a coffee, much less worry about lunch and getting in all my vitamins. And that’s when Viviscal Extra Strength Supplements come in. Viviscal Extra Strength Supplements contain the exclusive marine complex AminoMar®, as well as Biotin, Zinc, Vitamin C, Horsetail Plant Extract and Iron, to nourish hair from within and make sure that it has everything it needs to grow healthy and strong. It’s helps bring life back to your locks in only 3 – 6 months, taking the supplement twice a day. My journey with Viviscal began about 6 months ago. As instructed, I took the pills twice daily and used the Gorgeous Growth Densifying Shampoo and Conditioner to wash my hair and finished off with the Elixir when I got out of the shower. Within the first wash with the Gorgeous Growth Densifying Range, I noticed an immediate difference. The products left my hair feeling lighter and fuller right away. So if you’re looking for some immediate gratification, the Gorgeous Growth Densifying Range is definitely a good place to start. As for the Viviscal Extra Strength Supplements, as expected, it took a little longer to show the effects. But like many of the good things in life, it’s worth the wait. While the results are slow at first, they have been steadily increasing the longer I’m using it. About a week after was when I first noticed that my hair seemed a little shinier and healthier. At the one month mark was when things starting to kick it up a notch, while my nails became much stronger as well. I can say I haven’t broken a nail in the last 4 months which is a great improvement from the previous once a week frequency. And additionally, my skin just seems to have a healthy glow to it. After about 3 months of using the Viviscal Extra Strength Supplements was when I started to visibly notice the change to my hair. Around my hairline where I used to have just baby hairs, my hair had started to grow in fuller. At the same time, I could feel that my hair at the roots become thicker and healthier. I also found my pony tail was thicker as well and I went from looping my hair elastic from 3 times to just 2. Something else I also noticed was that I was shedding less hair in the shower and while I was brushing as well, which had always been a concern of mine as well in the past. Now, 6 months later, my hair is looking the best it’s been and I’m really happy with results from both the Viviscal Extra Strength Supplements and the Viviscal Gorgeous Growth Densifying Range. It’s truly a system that cares for your hair from both the inside and the outside. And for those who are curious, no, it didn’t make the hair grow excessively anywhere else on my body, just a beautiful head of luscious hair where I wanted it! While waiting for the results of Viviscal’s dual-action system – I used Toppik Hair Building Fibres to help instantly eliminate the appearance of any fine, thin hair. It was great and so easy to use, as the natural, coloured keratin fibres blend undetectably with existing hair strands to create an appearance of naturally thick, full hair – which I especially loved using when putting my hair in a pony tail. For a flawless application, I utilized the Toppik Spray Applicator for a precise application to targeted areas while providing buildable coverage and the Hairline Optimizer designed with irregular teeth to mimic a natural-looking hairline. This is a must-have and you can even pop it into your bag to take with you on the go. It also comes in 9 colours so you can colour match as needed. You can pick up the Toppik Hair Building Fibres at Shopper’s Drug Mart or toppikcanada.ca. "Lookbook: Latest OOTD’s and Looks"
I’d definitely recommend it! It’s really made a difference in my hair! Ooh, I love that Viviscal works on you. I like that the whole package comes with everything you need for better hair growth. Your hair looks gorgeous by the way! It looks stronger than before. Thanks for sharing this recommendation! Thanks Nancy! It’s definitely made a big difference and for me! I can most definitely relate to thin and fine hair, thank you so much for sharing you can bet i’m going to be trying this myself! Thanks Heather! Hope you like it as much as I do!